PARIS (Bloomberg) -- PSA/Peugeot-Citroen has narrowed the search for a new supervisory board chairman to ex-Airbus Group CEO Louis Gallois and former Nexans CEO Gerard Hauser, a person familiar with the matter said. The post is currently held by Thierry Peugeot. The selection of a new chairman is part of a broader governance reorganization at PSA that will result in the Peugeot family's board seats being reduced to two from four. The French state and Dongfeng Motor Corp., which have agreed to buy 14 percent stakes apiece in Europe's second-largest automaker, will also each have two seats. Gallois and Hauser have already traveled to China to meet with Dongfeng, the person said. Gallois, who already sits on the PSA board as the French government's representative and is supported by President Francois Hollande, is seen as the leading candidate, the person said. 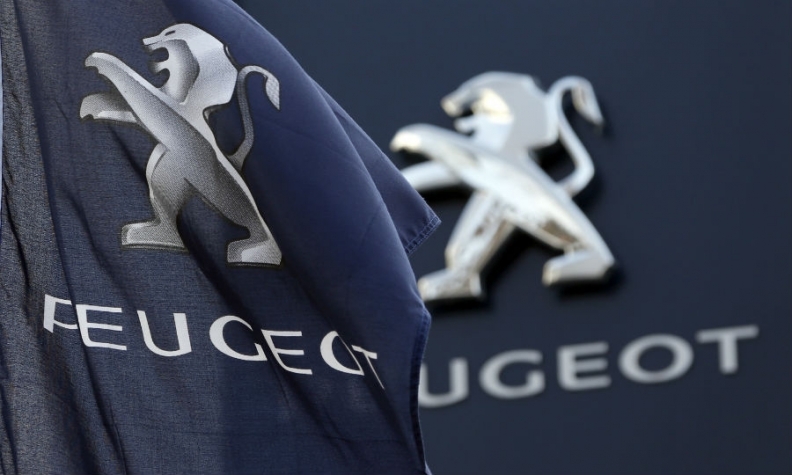 The Peugeot family has decided that its two main holding companies -- EPF and FFP -- will represent it on the board, the person said. FFP is currently run by Robert Peugeot, while EPF is headed by Jean-Philippe Peugeot. A decision on whether the two cousins, who already sit on the board, will continue their mandates has yet to be reached, the person said. PSA's board will meet March 18 to make the final decision, the person said. Jean-Baptiste Thomas, a PSA spokesman, declined to comment on the nomination process. The chairman's position is going for the first time since its creation in 1972 to someone outside the founding family as part of a broader governance reorganization that will result in the family's board seats being reduced. "It's a step in the right direction because it shows the family is losing its grip on the business gradually," said Erich Hauser, a London-based analyst at International Strategy & Investment Group who recommends buying the shares. "It was too involved in the management." Gallois, 70, ran Airbus, formerly called European Aeronautic, Defence & Space Co., for almost six years until May 2012, starting as co-CEO and then holding the post alone following a reorganization in August 2007. Gallois published a report in 2012 on France's business competitiveness that was commissioned by Hollande. Hauser, 72, ran French cable manufacturer Nexans from its creation in 2000 to 2009. He started his career in 1965 at the French unit of Royal Philips NV as head of market research, and then worked for more than 20 years at Pechiney in its aluminum division. He was a board member at Faurecia, which is controlled by Peugeot, from 2003 to 2009, and currently sits on the Technip SA, Alstom SA and Ipsen SA boards. PSA announced on Feb. 19 that it had reached an agreement with France and Dongfeng under which they would each contribute about half the money for a planned 3 billion-euro capital increase in exchange for their stakes. The founding family's ownership in the carmaker will drop to 14 percent from the current 25.5 percent. The French manufacturer has had a two-tier management structure since 1972 comprising the managing board, responsible for strategic and operational decisions, and a supervisory board, charged with oversight and control. The chairman leads supervisory-board discussions and keeps in close contact with the top management.